How do I access theBox service? 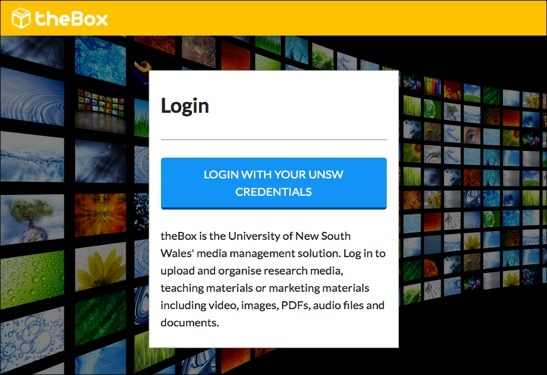 theBox service is available to all active UNSW staff employed at UNSW. Staff can access theBox via Moodle, or directly via the website. Students can view resources shared to them by staff using theBox via Moodle or by viewing embedded links in external web sites. They can also upload into theBox via Moodle (for example as an assignment submission or forum post), but they are unable to directly use theBox website themselves. Staff can upload their media content into theBox service via the website directly, or via Moodle. The methods of doing so are listed below. For detailed instructions on which of the following access methods is most appropriate for your needs click here. 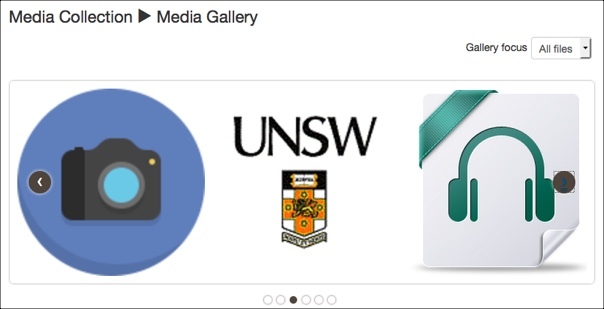 Click the Login using UNSW Credentials button. Login with your zID (suffixed with @ad.unsw.edu.au) and zPass when prompted. Note: An active staff ID and zPass password are required to login to theBox website. Instructors can use Moodle's File Picker tool in any activity/resource to access, upload and share media content with students within their Moodle course. theBox acts as a simple file repository allowing it to be quite flexible. 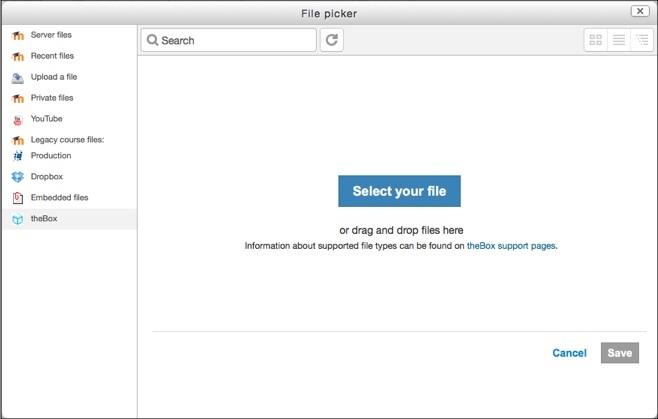 For detailed instructions on how to use Moodle's File Picker tool with theBox click here. Instructors can use Moodle's Media Collection activity to access, upload and share media content with students within their Moodle course. The Media Collection activity is integrated with theBox, allowing the functionality of theBox to enable the workflows that the Media Collection is designed for. For detailed instructions on how to use Moodle's Media Collection activity click here.